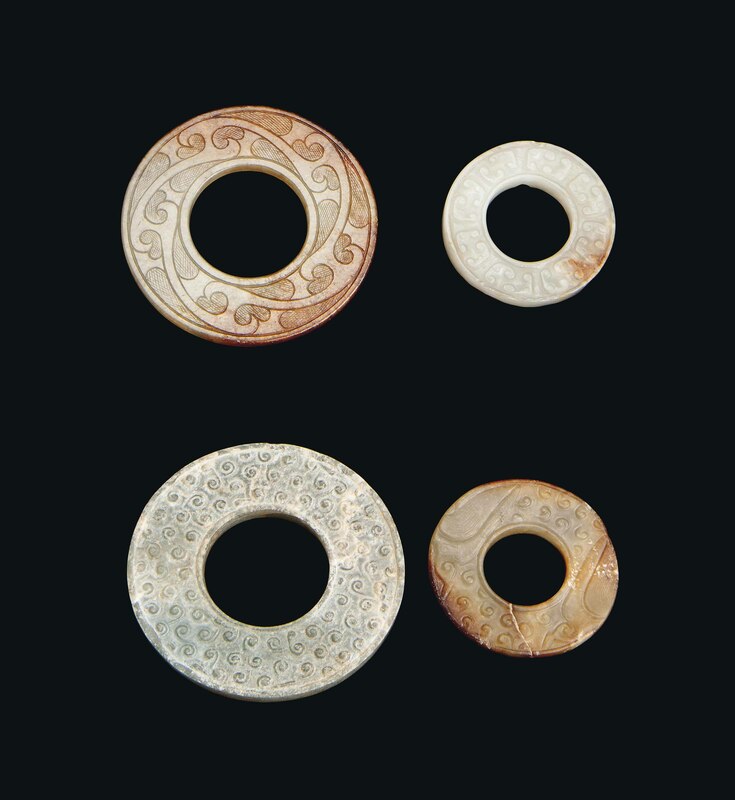 The group comprises a bi with stylised foliate designs, the stone of a celadon and russet tone; a bi with raised nodes and C-scrolls, the pale celadon stone with russet inclusions; a bi with raised nodes, the celadon stone with areas of calcification; a similarly decorated bi, the stone of a celadon tone with russet inclusions. The largest 2? in. (5.4 cm.) diam. The first, acquired in 1972 from a private collector. The second, acquired in 1973 from a private collector. The third, acquired in 1989 from a private collector. The fourth, acquired in 1989 from a private collector.